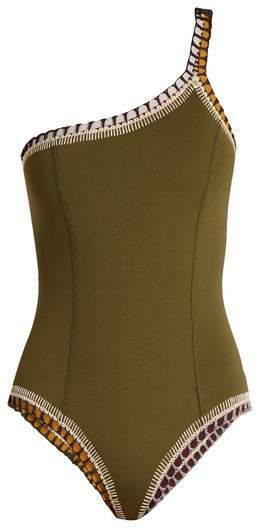 Kiini - This khaki-green Wren swimsuit is instantly recognisable as a Kiini design thanks to the colourful crochet trims that line the elasticated edges. 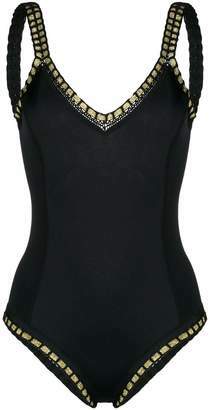 It's a one-shoulder style handcrafted from a sculpting stretch fabric, and offers medium coverage. Pack it for your next getaway, styling simply with minimal slides.